Marvel continues their search for a director to replace James Gunn on Guardians of the Galaxy Vol. 3, and they aren't having an easy time of it. With some high-profile filmmakers such as Adam McKay and Taika Waititi turning it down, primarily because they recognize Gunn's impact on the franchise, it may ultimately come down to a lesser-known director who gets the job. I have a feeling if it were up to Kevin Feige he would rehire Gunn in a moment's notice, but at least they still have his script. “Yeah, I have. It’s off the chain. It’s so good." Marvel still hasn't officially put Guardians of the Galaxy Vol. 3 on the schedule, but if a director gets named that should be rectified fairly quickly. 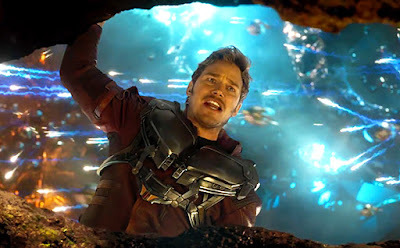 If they are keeping Gunn's script that should make it easier to hire more of a journeyman director because Gunn's influence can be felt in the screenplay. Fortunately, Marvel has a pretty good track record hiring less-familiar directors, just ask the Russo Brothers and Peyton Reed.